Rick Swartz explains - How much is a Domain Name Worth Per Square Foot?? Discussion in 'Non-India Related Domains' started by Prashant Sharan, Nov 30, 2018. 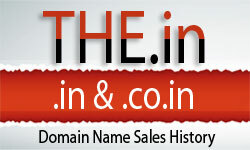 Probably, that's on of the best analogies for domains, I have come across in recent times. This article by Rick Swartz is a great read.